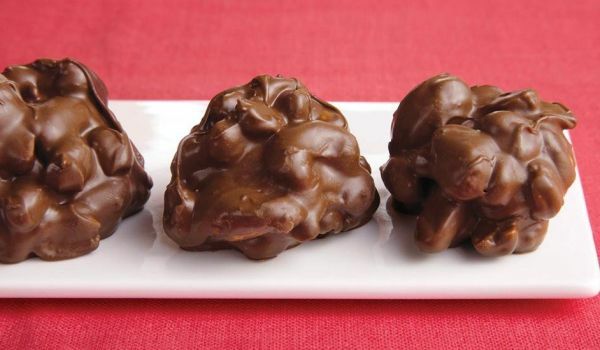 Chocolate Nuts is perfect dessert for chocolate lovers that comes with a nutty flavor. Learn how to make/prepare Chocolate Nuts by following this easy recipe. Melt the chocolate in microwave or double boiler and whip it till smooth. Add almonds, cashew nuts, pistachios and raisins to the chocolate and mix. Grease the moulds and put spoonful of chocolate-nut mixture into it and refrigerate.